Our team of highly experienced digital and marketing innovation professionals represents a unique group of people with very diverse perspectives from within pharma and from outside of the industry. We’ve worked for big companies and started small ones. And we’ve come together in the belief that “There has to be a better way.” Evolution Road was purpose-built to offer clients something new. After 16 years, we remain as passionate as ever about the value of our unique business model. Paul Ivans has spent the last 30+ years helping grow brands in the pharmaceutical, healthcare, packaged goods, financial services and telecommunications industries and has focused his last 23 years helping brands leverage digital and marketing innovation to drive their businesses. 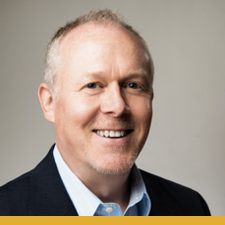 Since founding Evolution Road in 2000, Paul has centered his marketing innovation efforts on the healthcare industry, leveraging consumer digital marketing, healthcare professional multi-channel marketing, and outcomes-driven marketing to grow leading brands for a select group of leading pharmaceutical and healthcare organizations. Larry Moran has over 25 years of experience in delivering technology solutions and marketing communications services to companies in the pharmaceutical and consumer products industries. His clients have included Johnson & Johnson, Pfizer, Eli Lilly and Merck. Since 2001, Larry has played executive roles in sales & marketing, operations, technology and general management for healthcare marketing and communications firms of various sizes. Larry joined Evolution Road as Chief Operating Officer in 2011. Brandi Ascione has over 15 of experience in digital marketing and strategic planning. Her award-winning work has played an integral role in developing major brands and increasing revenue for clients such as Merck, Schering-Plough, Daiichi-Sankyo, Valeant, Actavis, Novartis, Pfizer and Pharmacia, among others. 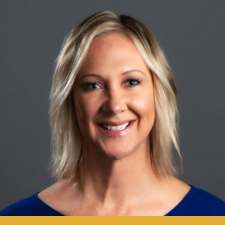 Since joining Evolution Road in 2007, Brandi has worked with clients across the pharmaceutical industry to drive business and increase profitability leveraging strategic digital marketing and innovation solutions. Brandi has supported a range of categories including oncology, allergy, women’s health, GI, and cardiovascular as well as several OTC brands. 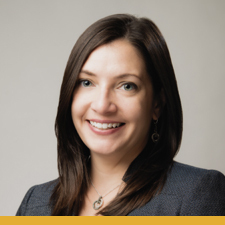 Lea DeOliveira has worked over 15 years in the field of pharmaceutical sales and marketing with a focus on strategy development and improving customer experiences through digital marketing and digital health programs. Lea joined Evolution Road in early 2009 after gaining unique experiences at both a digital creative agency in addition to a leading pharmaceutical manufacturer. Her work experiences have spanned a breadth of treatment types including vaccines, biologics, biosimilars, infusions and prescription pill products. Lea has also built tailored solutions to meet the varied needs of Healthcare stakeholders across Patients, Healthcare Practitioners, Payers and Hospitals. Lea holds a Bachelor of Science in Marketing from the Smeal College of Business at The Pennsylvania State University. Kate Miller has 15 years of experience in pharmaceutical digital marketing with a focus on determining strategies that drive in-market business results for her clients’ brands through digital and marketing innovation. 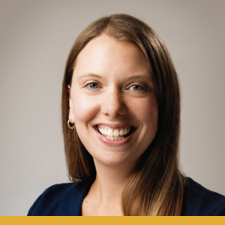 Since joining Evolution Road in early 2008, Kate has played an integral role in increasing digital business impact and return on investment for numerous brands across multiple therapeutic areas, including diabetes, women’s health, allergy, asthma, CV and depression. 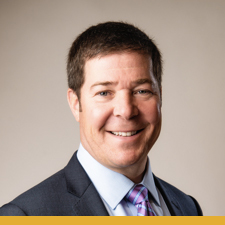 Steve joined the Evolution Road team with nearly 20 years of professional services experience specializing in healthcare with a focus in marketing and technology. He has held leadership roles in many capacities, from developing marketing strategy for a household name pharmaceutical brand to launching an eCommerce platform for a major health insurer. 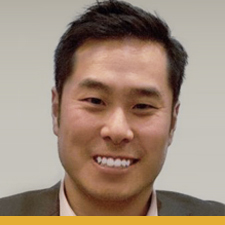 Recently Steve was a Client Strategy VP for Sharecare Consumer, where he worked with pharmaceutical clients to develop consumer engagement programs based on the Sharecare platform. Prior to this, Steve was at Rosetta for seven years, during which he helped launch Rosetta London and led Rosetta agency and consulting teams across numerous therapeutic and healthcare subject areas including oncology, aesthetics, ophthalmology, online wellness, and health eCommerce. 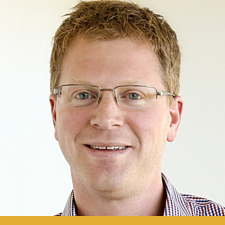 Prior to Rosetta, Steve spent nearly 10 years in technology strategy consulting for Accenture and PwC. Steve holds a B.S. in Finance from the Wharton School at the University of Pennsylvania and an MBA from the Kellogg School of Management at Northwestern University. Larry Brooks is a Principal at Evolution Road (ER) LLC where he is responsible for leading the Digital Health practice. His passion for digital health is grounded in the meaningful impact he has observed it having on people’s lives and health outcomes. Larry has broad operational experience in life sciences with direct management and leadership assignments across the pharmaceutical value chain including in clinical development, market access, marketing and sales. Prior to joining Evolution Road, Larry led the development of Boehringer Ingelheim’s early vision, approach and collaborations in digital health, both globally (2012-2015) and in the U.S. (2015-2018). Larry holds a Bachelor in Business Administration and a Masters in Business Administration both from The George Washington University. He resides with his wife and two children in Ridgefield, CT.
Let’s Talk About Our Approach.